Hybrid system – Silicone Free. 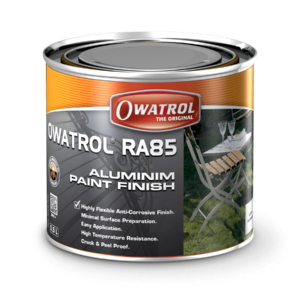 Highly compatible – Can be overcoated with any finish (contact us) – Use as an additive (10%) in waterbased finishes to enhance their water repellent characteristics. Non Film-forming – Allows wood to grey naturally while maintaining its internal structure. 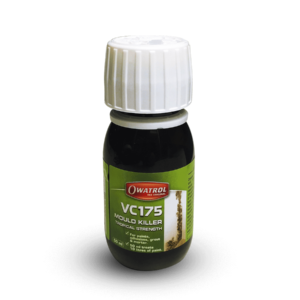 Ideal for maintaining and protecting wood that has already greyed naturally. Protects against everyday environmental attack – Prevents damage from weathering and UV rays. Allows the transporting of timber in difficult conditions (containers, film wrapped pallets etc). Does not change the colour. Appearance remains unchanged. Easy maintenance – No pressure washing required. 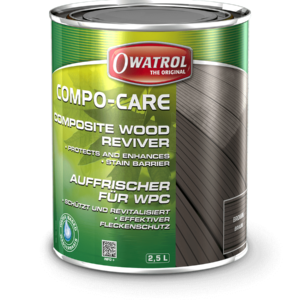 Softwood – Untreated and pressure treated. Hardwoods – Exotic and broadleaved. Treat mildew with a 50/50 bleach/water solution. Scrub solution on to surface and allow to stand for 10 – 15 minutes; rinse thoroughly. 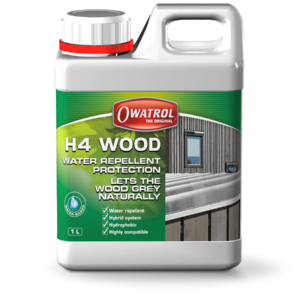 H4 Wood can only be applied to bare wood surfaces or weathered surfaces previously finished with H4 Wood . 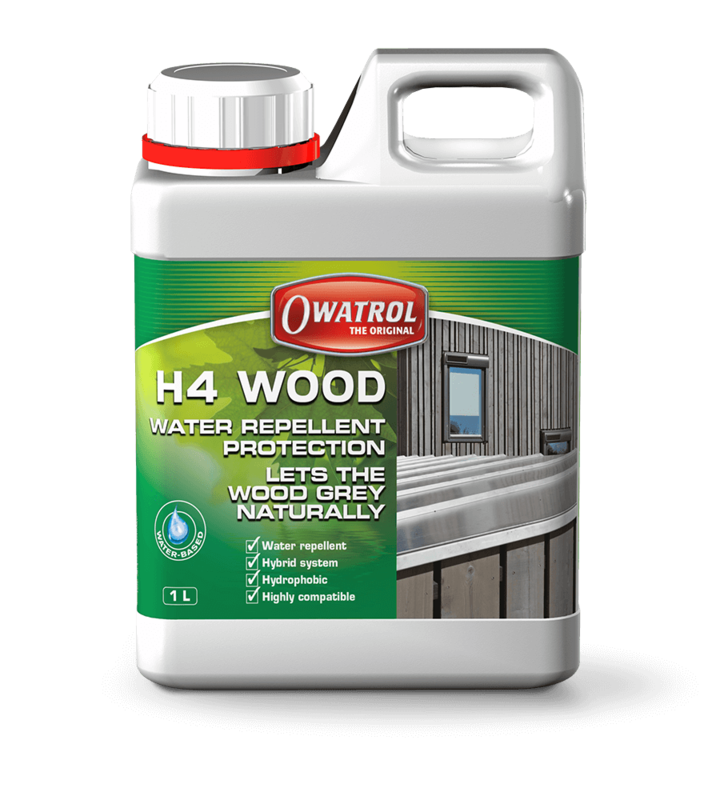 H4 Wood may also be applied to surfaces previously finished with Owatrol penetrating products Textrol, Aquadecks etc without the need for stripping. Contact us for additional information and advice before proceeding. All other finishes MUST be completely and thoroughly removed. 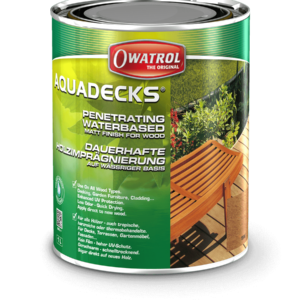 Treat wood with Aquanett or dilute Prepdeck, neutralise with Net-trol, alternatively mechanically or manually abrade surface with 80 grit paper. 1 – To keep grey look of the wood clean with N4. 2 – To restore colour of wood clean with undiluted Net-Trol to remove all loose wood fibres, dirt and other surface contamination. Note: Hardwoods inc’ exotic hardwoods and woods rich in tannins i.e. Cedar, Douglas Fir, Teak, Ipe, Iroko etc may darken with Aquanett, Prepdeck and Dilunett, neutralising with Net-Trol immediately after rinsing will lighten and restore the woods colour. Oak and Chestnut please contact us for additional information and advice. Application temperature: Between 10°C and 30°C.